China fish imports have steadily increased in the Kenyan market over the years,with the highest record being marked last year by 11.8 percent. The State Department of Fisheries has noted that in 2018 alone, Kenya imported 22,362 tonnes of fish mainly from China, which values at approximately Ksh1.7 billion. In 2017, Kenya imported 19,127 tonnes worth Ksh1.5 billion, a trend that has raised concerns from local traders who are facing stiff competition due to the presence of cheap supplies. 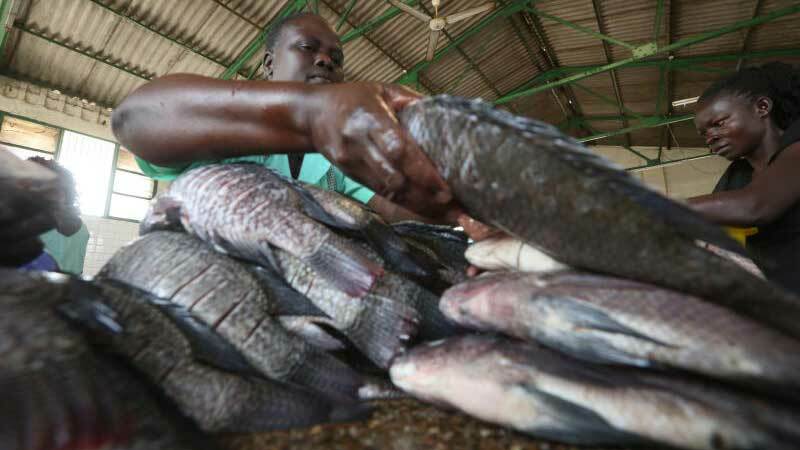 Speaking to one of the local dailies, the Gikomba Fish Traders chairperson Paul Oimba lamented that the imports have really affected local business since they can no longer compete favorably with the Chinese supplies. “Whereas a 10-kilo carton from China will cost Ksh1,800, we sell the same quantity at Ksh3,500, making it hard for us to compete,” says Mr Oimba. Last year, President Uhuru Kenyatta had weighed in on the issue following an outcry from the local traders, issuing a directive to have the Kenyan government officials find ways of limiting the amounts of fish being imported. “I have been told about the imported fish from China. It is not possible that we import fish when our local traders are here,” the Head of State asserted. Additionally, the Lamu County Beach Management Units (BMUs) Chairman, Mohamed Somo, affirmed that lack of markets for their fish has seen traders experience great losses since their fish especially , tunas, are in their stores rotting. Despite the President giving a directive, the Principal Secretary for Fisheries, Micheni Ntiba, claims that imports are necessary for the country to meet the demand for the supplies. “We do not have an alternative over fish importation. It is a fact that we currently do not have enough fish in the country and we are required to import in order to meet the growing demand,” he told journalists. However, he assured that in as much as China cannot be blocked from exporting the supplies, the government will naturally reduce once the country’s aquaculture production goes up.